Happy Bank Holiday lovelies! As a little bank holiday treat I have a double dose of all things lipstick for you with a video of mine and Faye's favourite products for the perfect pout (dream tag or what!). We had such a fun time filming this and our Non Beauty Favourites over on Faye's channel, so I'd love it if you gave both videos a watch and a cheeky subscribe. I've been having a most enjoyable chilled bank holiday weekend with the boy cooking up sweet treats and going gaga over Hugh Jackman and now there are only four days until I return home to cat sit for the weekend. One less alarm and some serious fur ball time? Bank holday bliss. 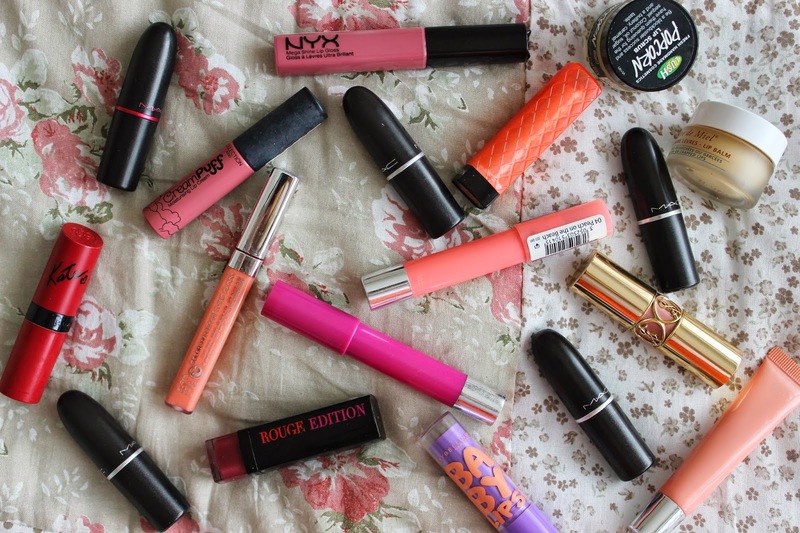 I did this on my blog too and I really enjoyed it, found so many products I loved. Love watching other peoples too, I've found some really great recommendations that way.